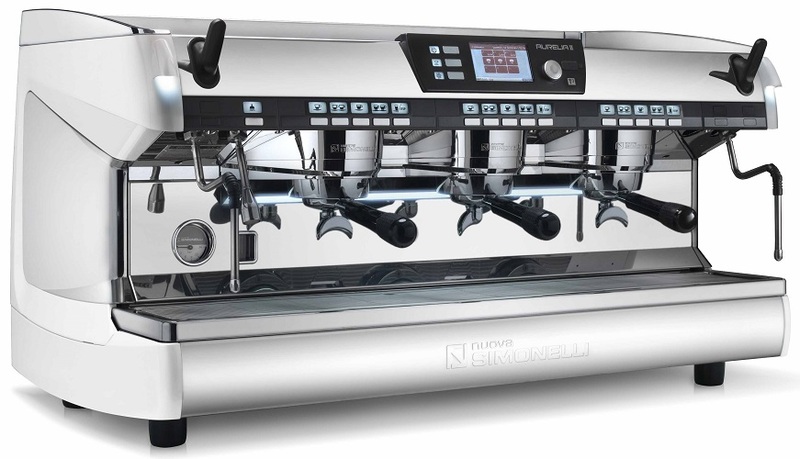 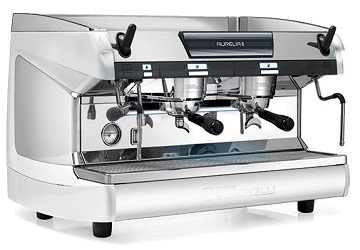 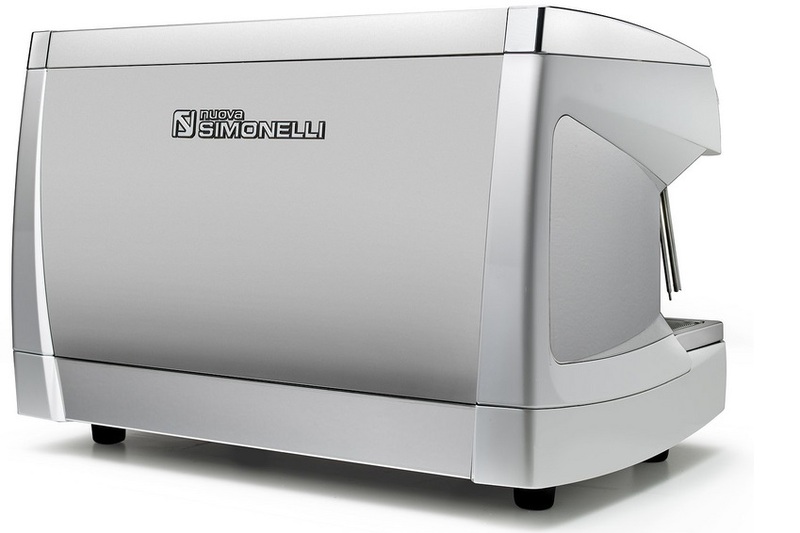 Nuova Simonelli Aurelia II, the 2012-2014 official World Barista Championship espresso machine, is ideal for those wanting unprecedented performance and reliability. 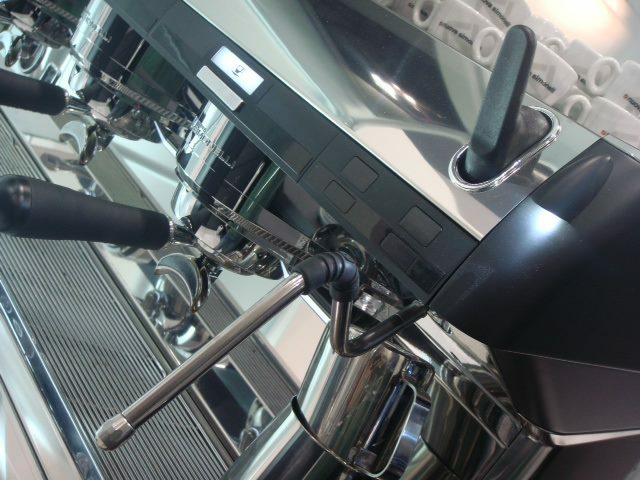 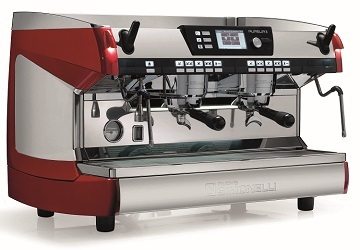 Designed for barista competitions, it has amazing standard features like soft infusion, work lights you can turn on or off, powerful steam with push-pull controls & cool-touch wands, steam tips ideal for micro-foaming, automatic back-flushing, adjustable hot water temperature & pump pressure, and much more. 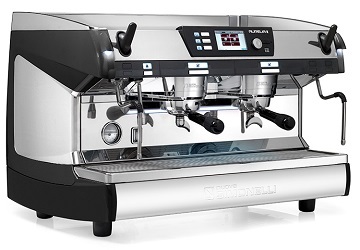 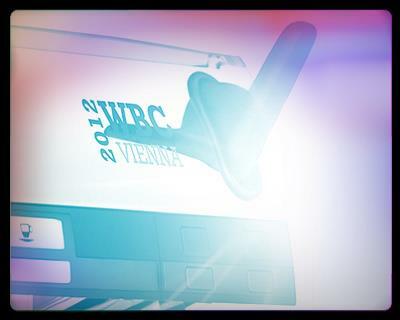 Comes in a Matte Black, Pearl White or Glossy Red finish, with matching grinders available. 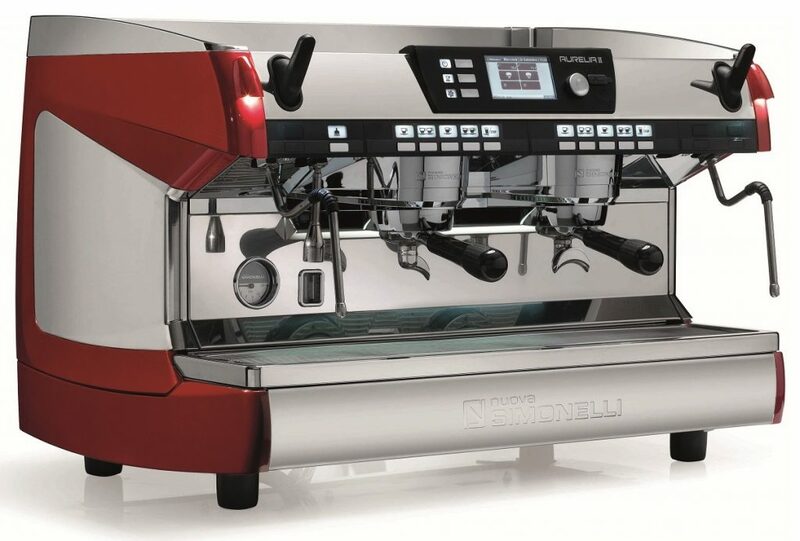 Digit: The Aurelia II Digit builds off our Volumetric version, adding a pump pressure adjustor, as well as a high resolution 4 ¼ inch LCD display, giving the barista unparalleled control over the machine. 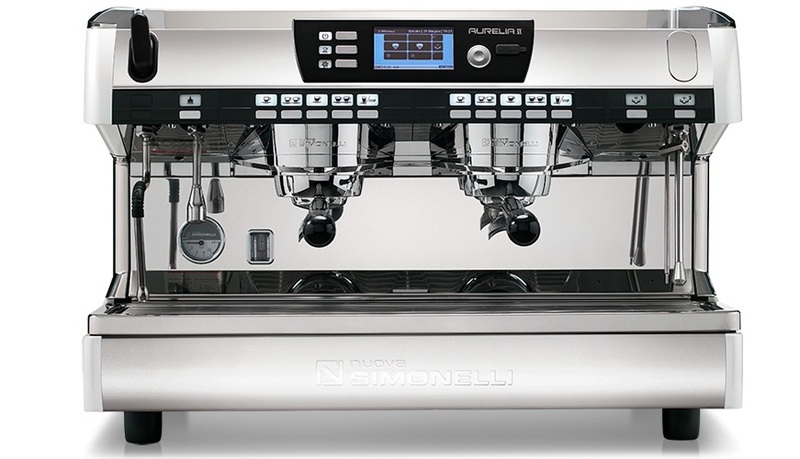 Use it to easily program dosages, boiler pressure (PID), pre-infusion, several maintenance features, on/off times, various counters, and many more smart functions. 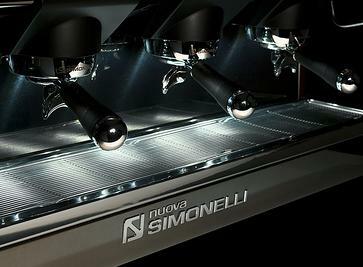 The HD display can also time all independent shots simultaneously, eliminating the need for external timers. 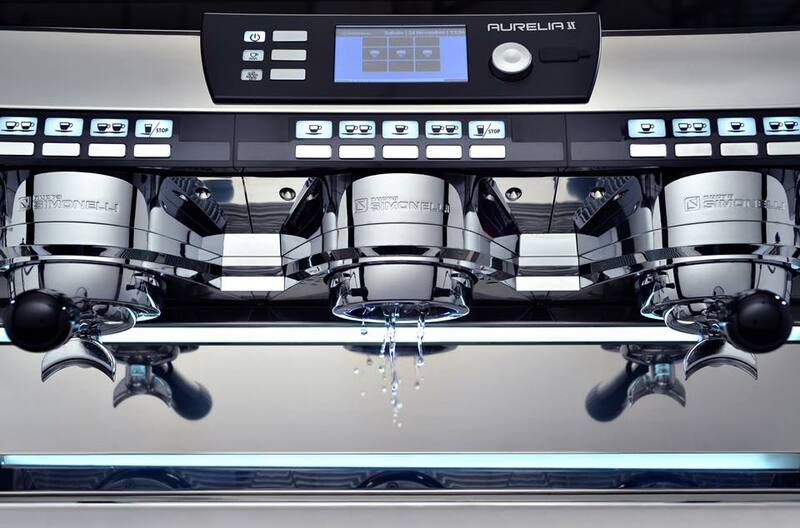 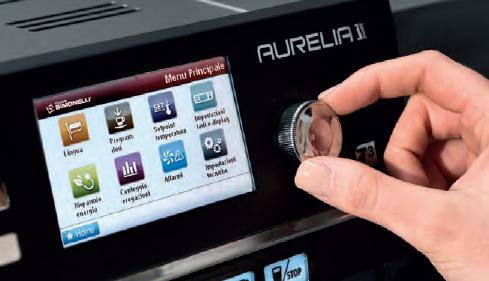 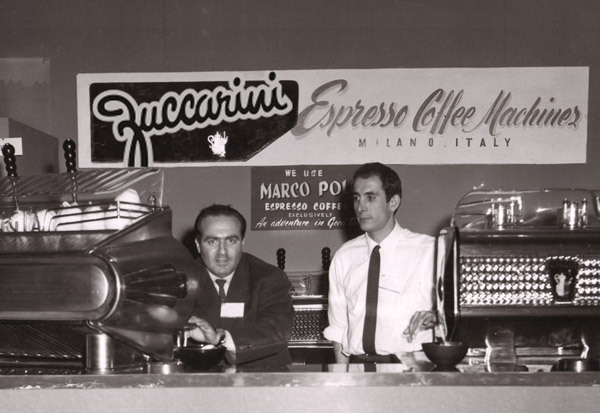 T3: The Aurelia II T3 builds off our Digit and Semi-Automatic or Volumetric versions, giving the barista unheard-of control of water temperature throughout the machine. 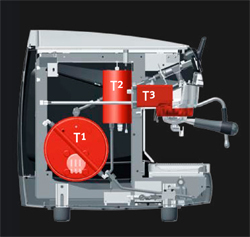 T3 technology allows complete control over the temperature of the primary boiler, the brew-group boilers, and the head of each group, so each group can precisely operate at any temperature, independant of each other.